Growing up I hated Sloppy Joe's. I wouldn't touch them. As I got older a friend of mine once made some for a football party and I decided to give it a try and the Sloppy Joe was so good! Right then and there my Sloppy Joe phobia ended. I knew I would love these Tex Mex Sloppy Joes because I love anything spicy. And wow, was it ever! In a large skillet, on medium-low heat, while stirring occasionally, cook the meat until browned, about 10 minutes. Transfer meat to the slow cooker. Add remaining ingredients except for the cheese. Stir well. Cover and cook on low 4-6 hours. Serve on warm buns with shredded cheese, and sliced jalapeno. Enjoy! 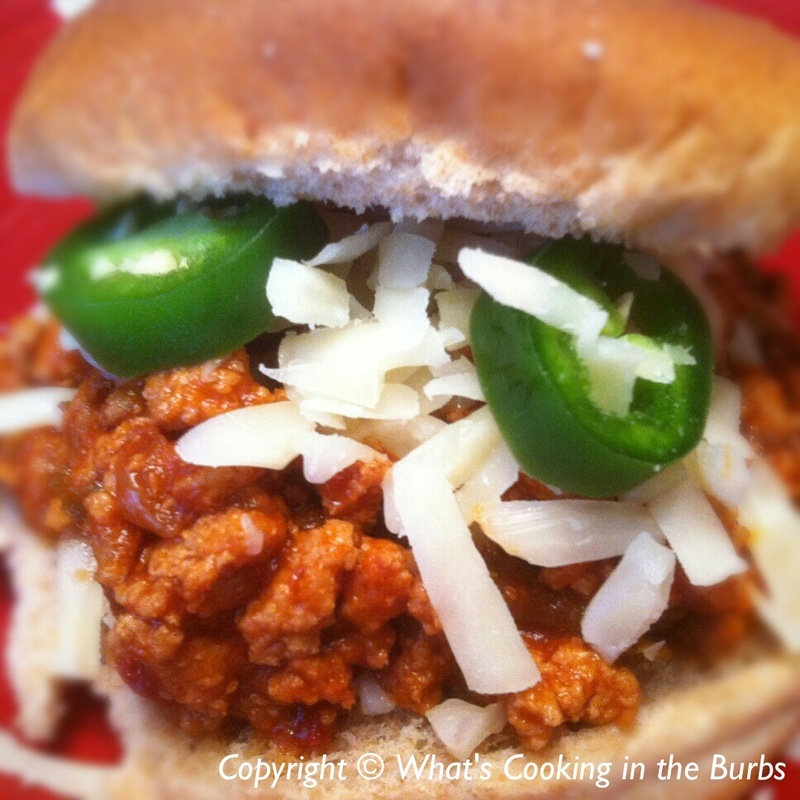 I love Sloppy Joes, and I'm always looking for different ways to prepare them. Couldn't help but notice that they only have 339 calories each. That's diet friendly! Thank you for including the recipe at Foodie Friday! These look really good and I love that they are low cal!